If you found the general test tricky, here is something to help you prepare for the credit test on Thursday morning. Click on the download link to get your own copy of a full set of notes on the Using Electricity unit. Thanks to Mr Cunningham for sharing these notes. Here’s some mains electricity revision for the cat lovers in S3. Remember that your tests are on Tuesday and Thursday. Ignore the 5A fuse stuff in the link, you should always select a 3A or 13A fuse. We’re finishing off the electricity unit by looking at electric motors. 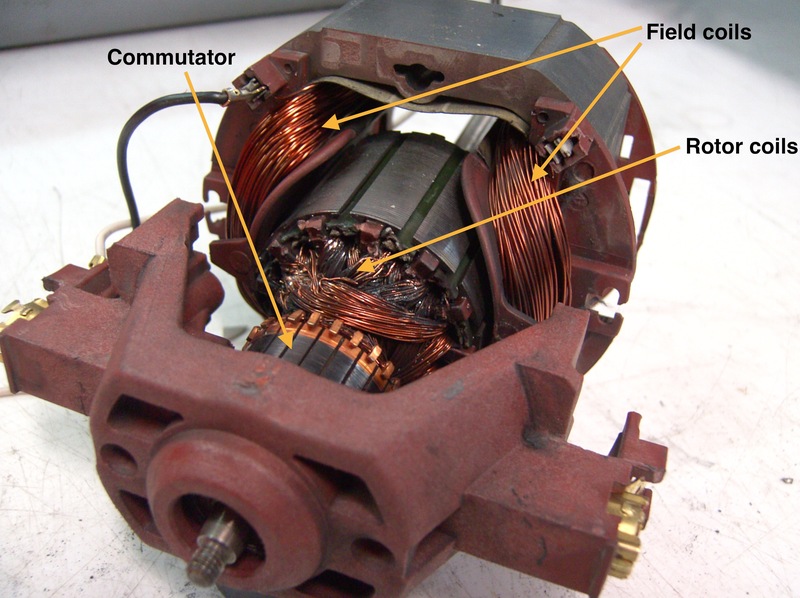 The page I used in class to help explain how a simple electric motor works is available here. 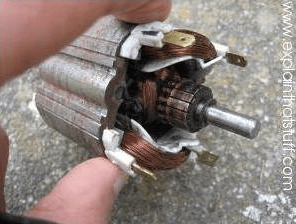 Here is another nice animation that shows the key parts of an electric motor. It will stop after a few rotations but just reload the page to see it again. they use field coils instead of a bar magnet – the field coils form a strong electromagnet when current passes through them. The field coils do not rotate. Recently we looked at the way power companies calculate how much electrical energy we use in our homes. The Joule is too small a unit to measure household energy consumption, so suppliers work out our bills using a must larger unit called the kilowatt-hour (kWh). I found this page on BBC Bitesize that has some information and a quiz to test your kWh knowledge. There is also a section on the kilowatt-hour at gcse.com. Here is your homework on the resistance topic. Download the pdf with your questions by clicking on the download link below. Please hand in your jotter no later than Tuesday 7th February. Pupils going on the school ski trip should try hand their jotter in by the end of this week. Here is a short test to let you find out how much you’ve learned about parallel circuits so far. Click on the circuit diagram below to open the question page. You will be asked to enter values for V1, V2, A4 & A5. If you need some help to find all four values, click on the check answers button to view the working. Are you ready for some more challenging questions on series and parallel circuits? Try this page. We have been looking at electrical power this week. The man I mentioned in class today is James Watt. Here is a short biography by the BBC. I also spoke about how he calculated the power output of working horses and compared them to his steam machines. You can read more about his horsepower experiments here. What would you do with a great big electromagnet? These people made a film. F5 2011 RE:PLAY Film Festival. Inductance from Physalia Studio on Vimeo. What do you make of the film?